A band performing on your bar table? Or maybe adding a holographic, fully animated 3D capture of yourself to your business cards? The future is here as the French-Belgian startup Mimesys fuels such projects with their unique 4D capturing platform! The Mimesys ‘Q3D’ format is the 29th file format that we now support on Sketchfab (here’s the full list). And, more importantly, it is the first ‘4D’ file format – a super ‘rich’ volumetric media format for the 3D scanning applications of the future. And what’s even better: you don’t need expensive proprietary hardware to capture 4D scans – if you own a Kinect V2 or Realsense F200-based device, you can now download the Mimesys beta SDK and try it out for yourself, right now. 360 videos are filling the VR content gap today because they are one of the easiest way to produce VR content, but with solutions like Mimesys, we will be able to accelerate the transition towards full volumetric user generated movies. 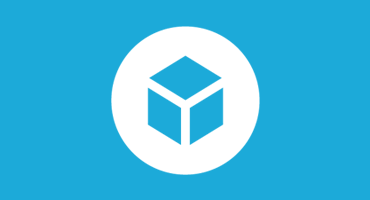 We’re proud they have chosen Sketchfab as the best 3D/4D content delivery platform. “Our vision with Mimesys has been to democratize volumetric video so that anyone could create and share the most vivid memories of their loved ones with affordable hardware ; thanks to the Sketchfab integration, you can now share and embed the content you created with Mimesys on many platforms. The beta SDK contains the recorder (with Sketchfab upload) and a Unity package to use the recordings in your own Unity application. The public beta only supports either 1 Kinect v2 or 1 RealSense F200 sensor. The Mimesys team is working on a multi-cam version available, only available for now on request for commercial projects. For now you’ll need a Windows PC/laptop/tablet, optionally one with a RealSense F200 included, like the Lenovo Thinkpad Yoga 15. We’d love to see what you create, so upload your 4D scans and post your Sketchfab links in the comments below!